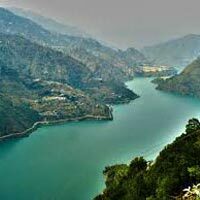 Himachal Pradesh is famous for its abundant natural beauty. After the war between Nepal and Britain, also known as the Anglo-Gorkha War, the British colonial government came into power. 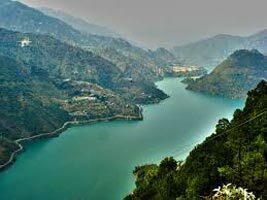 In 1950 Himachal was declared a union territory, but after the State of Himachal Pradesh Act 1971, Himachal emerged as the 18th state of the Republic of India. Welcome at Chandigarh airport/railway station & proceed to Hotel. Chandigarh popularly referred to as the 'City Beautiful'. Chandigarh, the capital of Punjab and Haryana, is regarded as one of the best planned cities of the country. Later, you may opt for a sightseeing trip of this beautiful city and visit its popular attractions, such as Rock Garden, Sukhna Lake, Capitol Complex and Open Hand. Rock Garden is a masterpiece that was formed from urban and industrial waste. Established as an open-air exhibition hall, it houses many items made porcelain, metal wires, auto parts, mudguards, frames, etc. The man-made Sukhna Lake, situated at the foothills of the Shivalik range, has a 3-km shoreline. It was built in the year 1958, after a dam was built across a seasonal stream - Sukhna Choe that flowed from the Shivalik hills. Sport activities, like water skiing, yachting and boating are on offer at this lake. Capitol Complex is a government building that was designed by the great Le Corbusier. Earlier, it was the seat of the Punjab Government; however today, it is the headquarters of both the governments of Haryana and Punjab. Open Hand is a 50 tonne and 14-metre high and structure that was created by Le Corbusier. Made out of metal sheets, this giant hand is a symbolism of unity and peace. Alternatively, you can pay a visit to its famous markets, such as the shopping arcade of Sector 17, also called as as the City Centre. After breakfast, check out from hotel & proceed by road to Manali, known as valley of Gods which is a combination of natural splendour and rich cultural heritage. Keep your cameras ready as there are many scenic spots as you pass by Kullu valley, Beas river, Dashehra maidan etc. On arrival, check-in to your hotel & spend the rest of the day at leisure, probably exploring the area around the hotel. After breakfast, walk through Manali town visiting newly constructed Buddhist Monastery and the handicraft centre. After this visit the 450 years old temple dedicated to Hadimba Devi, Jagatsukh and Vashist kund. Hadimba Devi temple is small temple situated in the dense forest is very interesting. After breakfast, proceed for a full day tour of Rohtang Pass. The majesty of the mountains and the glaciers can be seen here, you can enjoy this snowy heaven. Take a sledge ride down the slopes, try your luck climbing the little snow hills. Return to Manali for Overnight stay. After breakfast, check-out from the hotel and drive to Dharamshala. This city, surrounded by dense coniferous forests from all sides, is located in the Kangra Valley. A walk in the lush green surroundings of this valley offers a delightful experience. On arrival, check-in at the hotel and relax for some time. Later embark on a sightseeing visit to the famous Tibetan Medical Centre, where treatment is done using rare Tibetan medicines. St. John Church, which is one of the oldest churches of this region. It is widely acknowledged for its Belgian stained-glass windows, which were donated by Lady Elgin. After breakfast, check out from hotel & head towards Dalhousie. This small hill station, located in the northern side of Himachal Pradesh, is named after the British Governor-General, Lord Dalhousie. Located at an elevation of 2700 m above the sea level, this place offer sensational views of the surroundings. On arrival at Dalhousie, check-in at the hotel and repose for some time. You can spend the entire day at leisure, as there are no activities scheduled for the day. You can visit its prominent attractions or go to nearby local markets to shop for local items or souvenirs for your loved ones. After breakfast, proceed towards the sightseeing tour of Dalhousie. Start the excursion with a visit to Panchpula, which is a very famous picnic spot. Panchpula stream serves as the major water source for Dalhousie and Bahloon. Also, there is a monument built here to commemorate the memory of a great freedom fighter Sardar Ajit Singh. After exploring this place, move towards Subhash Baoli, which is named after Subhash Chandra Bose. Owing to lush green surroundings, this is an ideal picnic spot. Bara Pathar, is a small village famous for its temple of Bhulwani Mata. This hill station is famous for its colonial charm, which is evident from its beautiful buildings, bungalows and churches. Among the famous churches comes the St. John's Church, which is quite similar with the Roman Catholics church of England.